We understand that getting started (and staying motivated) in property investment can be a daunting prospect. Education is a great place to begin, which is why GRA run their 7-week Property School course. But even with a good education, many people get stuck. Fear of making a mistake, fear of losing money, a lack of confidence, uncertainty about how to start,and feeling overwhelmed are common reasons that people don’t take action. Sitting with a head full of knowledge is not going to create the future you need. Most people want to build wealth for themselves and their families – to provide their kids with a great education, a step onto the property ladder and a nest egg, and to live a life and retirement on their own terms without being a burden on anyone else. And property investment is a great way to do that. But if you are frozen by inaction, what will your future really look like? How will you be able to help your children if you do nothing? If you have an experienced mentor to guide and support you every step of the way, it’s a whole different ball game. That’s why GRA created Auckland Property Mentors (APM). 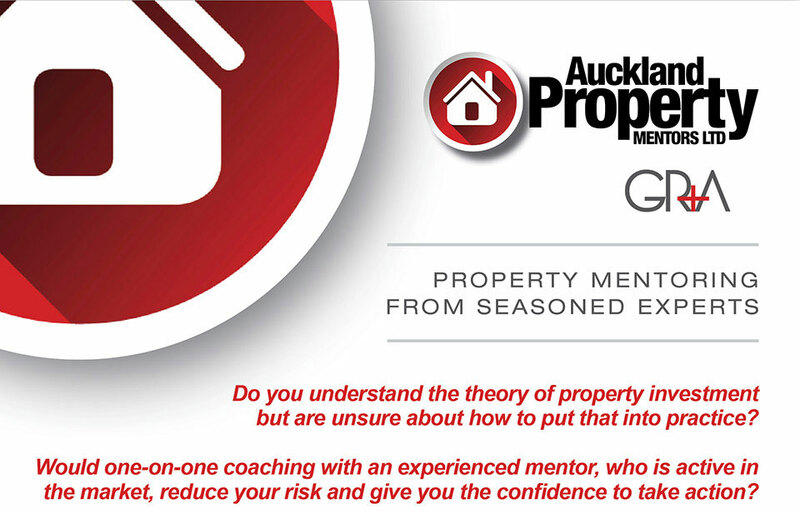 Auckland Property Mentors was founded by Matthew Gilligan (managing director and property partner at Gilligan Rowe and Associates) and Tua Saseve (expert property coach and qualified valuer). Both are active property investors with a wealth of experience. Our philosophy is to help people succeed in building wealth through property, and we get a real kick out of watching our students thrive and achieve their goals. We don’t sell properties, either – you pay our coaches for knowledge and guidance, and that’s all. They don’t earn any sort of commission on property sales, so you know you are getting impartial advice from people who are experienced and successful in the game. Matthew and Tua are real property experts. They haven’t just successfully purchased one or two properties – they have multiple property transactions under their belts, and have made profits that are actually worth talking about. Between them, they have helped thousands of people succeed and build wealth through property. They walk their talk and know what they are doing. This is what makes Auckland Property Mentors leaders in their field, and you can rest assured you are in safe hands. 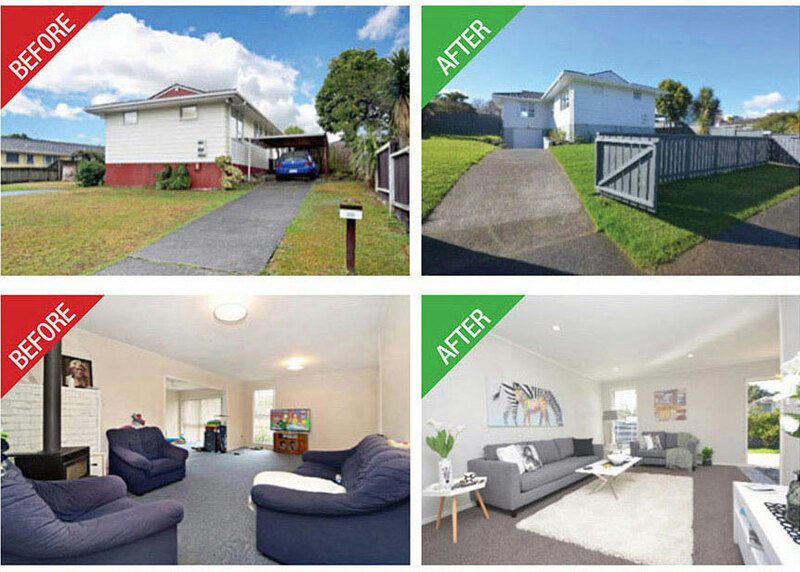 This property in Otara was purchased in July 2017 for $500k. We spent $50k on renovations, which took seven weeks to complete. The property was then put on the market, and was under contract for $625k at the first open home (with a backup offer of $630k the next day). Our investor client was very pleased with their sale price, especially since a rival investor group had adamantly told us the property would not sell for more than $590k. The result was a $75k gross profit, (or $26k net profit after agent's and legal fees, insurance, interest, GST and income tax). 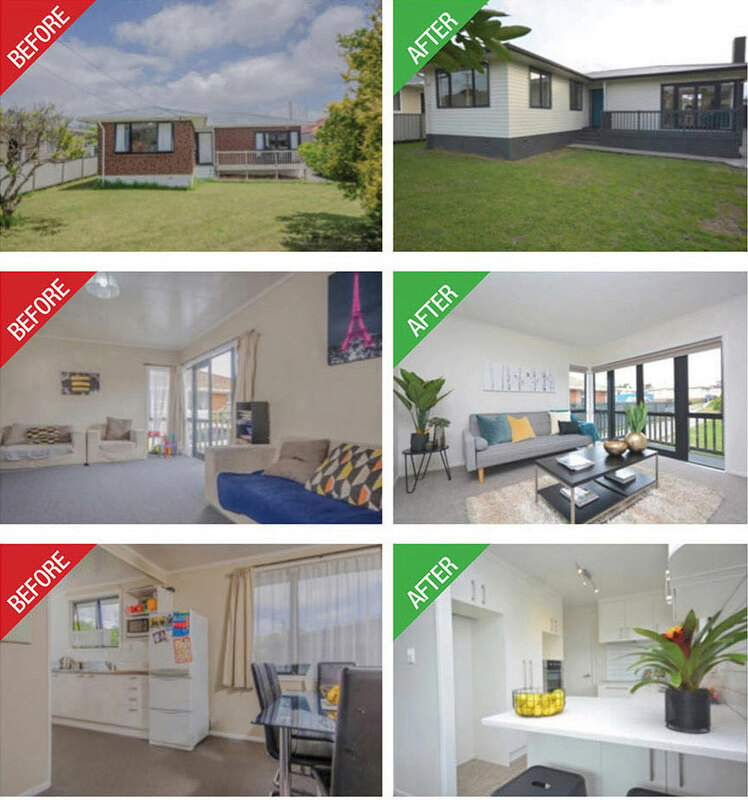 A three-bedroom house in Papatoetoe was advertised for sale and generated a lot of interest, with no less than six groups inspecting at the first open home. Tua wanted to see if the second lounge could be turned into a fourth bedroom without ruining the flow of the house, as this would add significant value. So, he walked in the back door, through the house, straight out the front door and negotiated the deal with the owner outside the garage there and then (on behalf of a mentoring student). Other buyers were still checking the hot water cylinder and faffing around doing their due diligence, but Tua’s knowledge of prices in the area and how to add value to the home allowed him to act fast. The property was purchased for $625k, renovations cost $50k, and it was sold seven weeks later for $735k. By adding a bedroom and sprucing the place up, Tua’s client made a tidy $60k gross profit ($20k net profit) in under two months.